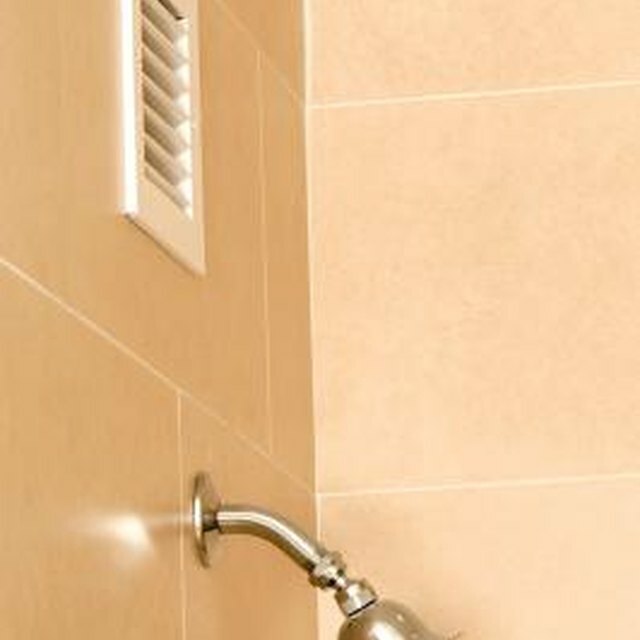 The Nutone 9093 is a bath ventilation fan. It offers fan-forced heating, powerful ventilation, and even a nightlight. The unit has many features, but it is also a complex mechanism. Installing a Nutone 9093 can be challenging, but taking a few precautions and following the instructions will lead to a successful installation. Separate the grille, power unit, and the housing. Remove the tape from the damper in the housing. Insert the hanger bar onto the mounting bracket on the house. Position the housing between two joists and attach the two mounting brackets into the slots in the housing. Remove the junction cover box and the preferred knockout. Install the vent and duct from the housing out through the roof or a wall. Turn off the electricity and run the wiring from the junction box to the wall switch using a 12 gauge five wire and ground. Refer to the diagram in the instruction manual for a visual on wiring the individual parts. Re-attach the cover on the junction box. Hang the power unit using the hanging bracket. Fit the unit into place within the housing and tighten it down with screws. Attach the power unit to the power receptacle in the housing. Install the light bulbs. Fit the grille into place and attach it using screws and the key-hole slots.